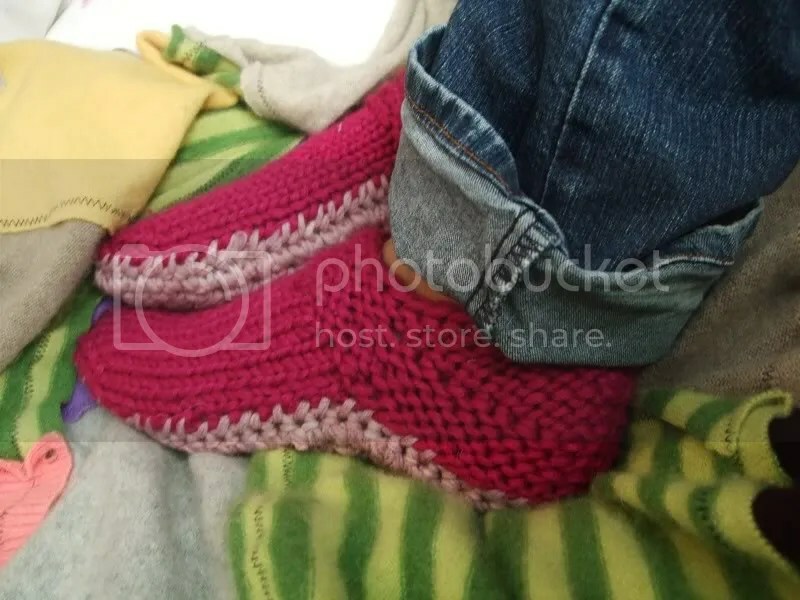 FO: Options Slippers | Stitch, Brinn, Stitch! I love these slippers- we call them Nanna slippers. 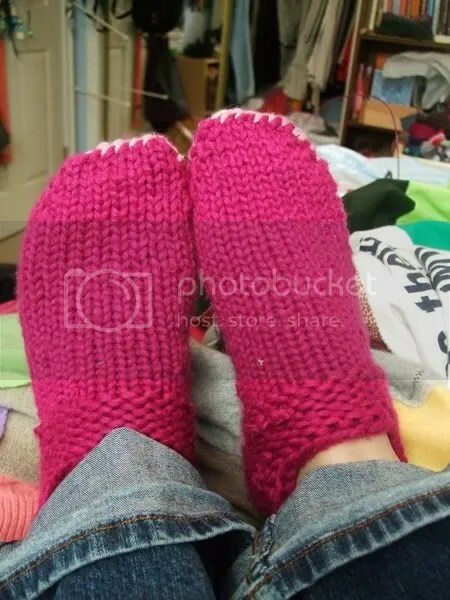 My cousin had a lady she worked with who would knit them for us. Aweful Colours but sooo comfy. My mother in law has now made the cutest little baby pair for my 8 mo th old- a little fancier so they don’t stay on super well.